A borrowing agreement involving Erie County and the Erie County Medical Center Corporation, one that would help the latter fund construction of a major capital project, fell short of approval in the Erie County Legislature. The County Executive says with no deal in place, the county faces a deficit that will result in cuts to other services. Under a tentative agreement between County Executive Mark Poloncarz's administration and ECMC, the county would borrow up to $100 million on behalf of the hospital's operator to help fund pay for upgrades to its emergency department. As part of the deal, the county would use some of that loan money to close an estimated $18 million budget deficit. 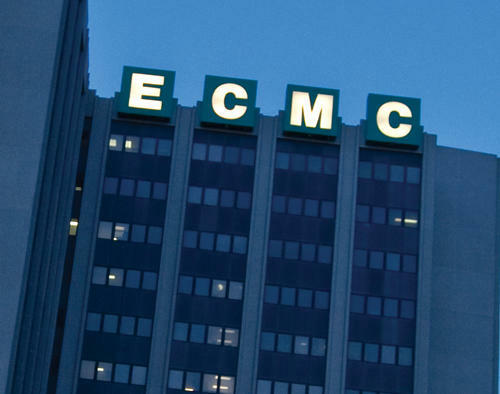 The Erie County Legislature voted Thursday on a proposed borrowing agreeement with ECMC's managing entity. While more legislators voted in favor of the deal, the count fell one short of a required supermajority needed to pass. The Legislature vote to approve the deal was seven to four in favor of the plan. Republican Kevin Hardwick and independent Lynne Dixon joined the Legislature's five Democrats to approve the borrowing agreement. However, a supermajority was required and the seven votes were one short of passage. Opponents of the agreement called it irresponsible. "It borrows an additional 20 to 40 million dollars, over the course of 30 years, to use as a credit to plug budget gaps created by the administration over the course of two or three years," said Legislature Minority Leader and Conservative Joseph Lorigo. "It kicks the can down the road and turns that can into a barrel." Republican legislator Ted Morton likened the arrangement to a parent signing a car loan on behalf of a child but then skimming some of the money. County Executive Mark Poloncarz expressed his disappointment in the Legislature vote and said with no deal in place, his administration will be forced to find other ways to close the deficit. "As such, the Budget Office is identifying potential cuts in 2017 to spending on roads, parks, youth and senior services, Convention and Visitors Bureau related expenses, arts and cultural organizations and others to help bridge this newly-created budget gap," Poloncarz said. The County Executive dismissed the option of a one-time dip into the county's fund balance, saying it was the sort of practice which led to the red-green budget crisis more than a decade ago. Following Thursday's Legislature vote, ECMCC issued a written statement: "“Throughout the ongoing discussions regarding a public financing package that could assist ECMCC build its future, state-of-the-art Trauma Center/Emergency Department the key fact for ECMCC is that the current facility is well beyond capacity. Built in the 1970s and last upgraded in the mid-1990s, our Trauma Center/Emergency Department is designed to accommodate 45,000 patients annually. In 2016, nearly 70,000 patients were treated there. No one knows the need for the Emergency Department upgrade better than the physicians, nurses and staff at ECMC who care for more patients than ever before and have collectively donated $1 million to the new Trauma Center/Emergency Department, coupled with donations from community leaders reaching approximately $3 million raised to date. “We thank the County Executive’s willingness to develop a funding plan that would help finance the construction of a new Trauma Center/Emergency Department. ECMC is always open to other proposals or plans, but none have been provided formally to date. As we have done in the past, ECMC also stands ready to be good partners to the County and its taxpayers to assist financially where appropriate. We look forward to continuing discussions with the County Executive, the Legislature, and the Erie County Fiscal Stability Authority to explore other potential funding options. As to not delay the project further, ECMC will also immediately begin the process of seeking other forms of public and private financing that are used similarly by fellow hospitals and medical centers. “As it has since becoming a public benefit corporation, the ECMC Board of Directors and leadership will continue to be fiscally responsible and be stewards of its public assets. As has been reported recently in various media reports, ECMCC last year experienced historically high volume in operations throughout the hospital, which contributed to increased revenues, improved margins and more cash on hand in 2016. ECMC continues to see record volumes through the first two months of 2017." 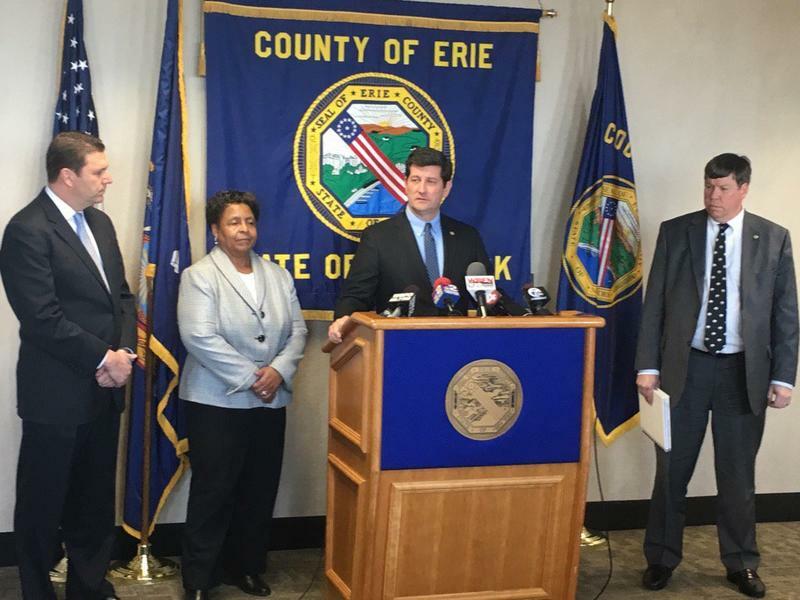 Poloncarz expressed hope that a compromise could still be reached, utilizing the Erie County Fiscal Stability Authority as a borrowing mechanism. Increased activity helped Erie County Medical Center finish 2016 with strong results. In a day of complicated maneuvering, Erie County legislators killed a plan to refinance the debt of Erie County Medical Center, then sent back to committee a separate plan to borrow $100 million for the hospital using the county's credit rating. 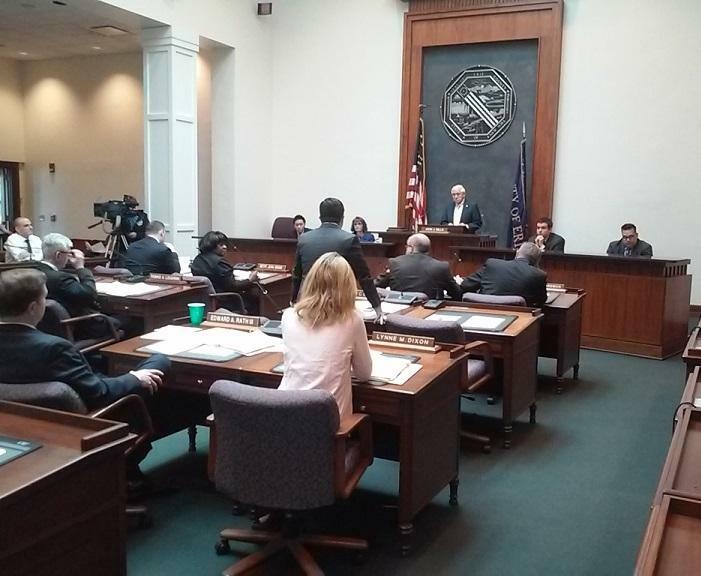 It was a day of attacks - some personal - and so much parliamentary maneuvering regarding the entangled finances of Erie County and ECMC even legislators were sometimes lost.